This electro-acoustic 'A'model mandolin from Ozark is a high quality instrument with the classic f-hole design. It produces a good, clear amplified sound and tone when plugged in, due to the adjustable bridge with piezo pickup. 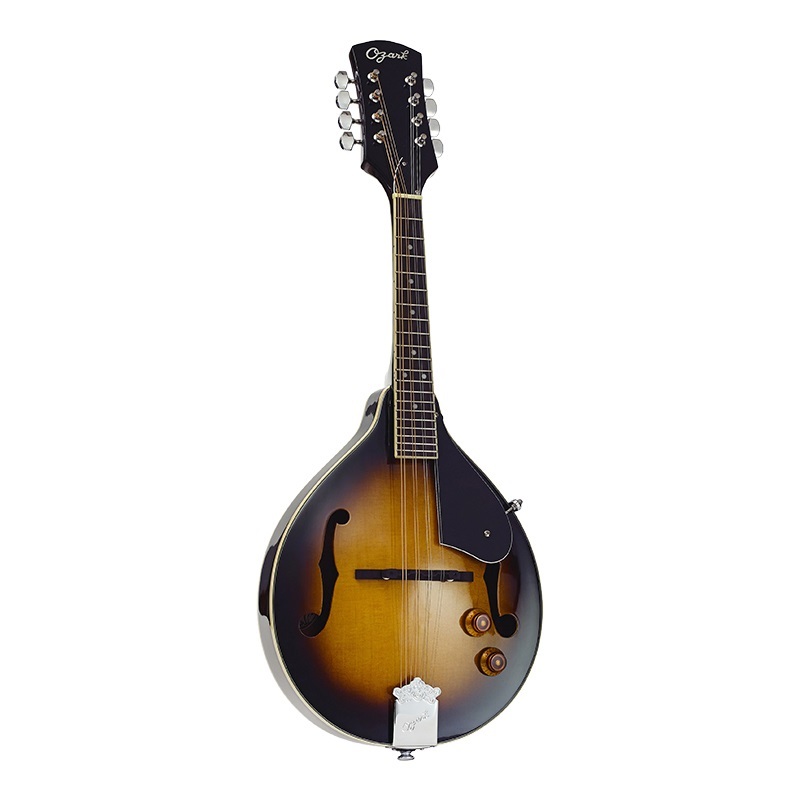 This Ozark mandolin is comfortable to play and is fitted with an ovangkol fingerboard and good quality chrome plated tuners.